Dr. Prieto grew up working in the agricultural fields of the central San Joaquin Valley in California. She earned her Bachelor’s degree in Sociology from Stanford, a Master’s degree in Education from Harvard, and her PhD in Education from UT Austin. Most recently, she served as vice-president of programs at ALearn, a Santa Clara-based math and college readiness program for underserved students. In addition to serving as ED, she currently teaches courses in Chicanx/Latinx Studies at Stanford. Ms. Weal founded Upward Scholars in 2009 after teaching ESL at Sequoia Adult School and observing that her students weren’t living up to their potential. She created Upward Scholars to empower students to continue their education in community college. Prior to teaching ESL, Ms. Weal had a career as a marketing writer in Silicon Valley. She also has written several ESL text books. She currently serves on the Upward Scholars Board. A native of El Salvador, Ms. Ventura attended the University of El Salvador where she majored in English and French. She currently is a student at Cañada College working towards her associate degree in accounting. Ms. Ventura joined Upward Scholars in July 2016 and is responsible for coordinating all aspects of our programs including student orientations, laptop donations, transit cards, and student events. Ms. Zoepf advances diversity and inclusion in the workplace and her community. Her experience includes international nonprofits as well as startups. She previously served as a senior consultant at Exponential Talent and is now a Diversity and Inclusion consultant. 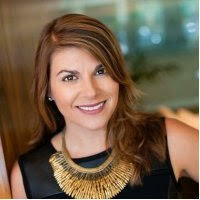 Ms. Zoepf was born and raised in Mexico and has an MBA from Universidad Politécnica de Cataluña, Spain. On the Upward Scholars Board, Ms. Zoepf serves as a liaison with the Latin America community, supports strategic development and process improvement, and is chair of the program committee. Mr. Varro is currently vice president of customer success at Indiegogo. 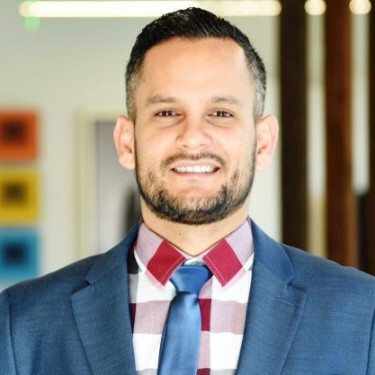 Over the course of his fifteen-year career, Mr. Varro has held leadership positions at several innovative technology companies including Google, Facebook, and UpWork. As a first-generation American, he is passionate about creating opportunities for immigrant families to achieve greater social mobility. Mr. Varro’s Board focus is program and fund development. Mr. Schwartz is currently a Vice President and Wealth Advisor at EP Wealth Advisors. He is a Chartered Financial Analyst (CFA) and Certified Financial Planner (CFP®). During his career he has held many roles in finance including securities trader, portfolio manager, financial planner, and wealth advisor. Financial literacy education is a passion of his, and he serves on the Upward Scholars Finance committee. Ms. Hartstein has more than fifteen years of experience in marketing communications, working with Fortune 1000 brands like Citrix, Intel and Autodesk to build program strategies that connect audiences to ideas, and generate revenue. Originally from North Carolina, Julie resides in the heart of the community we serve, and looks forward to partnering with Upward Scholars on strategic planning. She is co-chair of the Fund Development committee. Mr. Bautista, who came to the United States from Mexico when he was 18, received an AA in Engineering and Physics from Cañada College. During much of that time, he was an Upward Scholars recipient. Mr. Bautista, who graduated from Cal Poly with a B.S. in Industrial Engineering, is the first Upward Scholars alum to graduate from a four-year university. Moises currently is an account manager at Oracle. He will focus on programs and fund development. Ms. Willis, a program officer at Pacific Foundation Services, has spent two decades working in the nonprofit and philanthropic sectors, specializing in communications and relationship building. Her volunteer work for organizations in Africa, Central America, and Europe has included both board leadership and hands-on projects. A proud native of California's Central Valley, Stefani spent 12 years living in Oregon and The Netherlands. At Upward Scholars, her focus is on fund development. 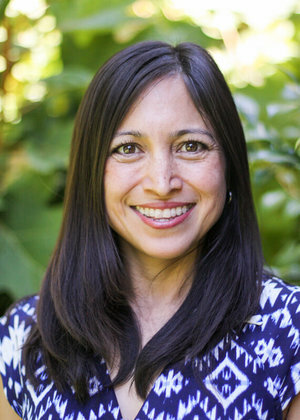 Ms. Kuehnl-Ortiz is marketing director of Abilities United, a nonprofit in Palo Alto. She has an MBA from San Francisco State focused on marketing and international business and has held marketing positions at technology companies including Silicon Graphics and Knight Ridder. Wendy has volunteered at numerous Peninsula nonprofits including Stanford University English in Action, Project Read, Sequoia District Adult School ESL program, and Friends for Youth. Her Board focus is marketing and fund development. Ms. Hornbeek has more than twenty years of experience in marketing, including running program marketing at Silver Spring Networks and marketing communications at Marimba. Susie spent two years living in Buenos Aires with her husband and two sons. She currently is active in Palo Alto Partners In Education. At Upward Scholars, she is a tutor and co-chair of the fund development committee. Dr. Rosenberg has been an ESL teacher in middle school and adult school. She served as an adult school administrator for fourteen years, during which time she earned an Ed.D. in leadership and change. She is passionate about helping both ESL and GED students find appropriate resources that will lead them to career pathways providing family-sustaining incomes. Kara is the chair of the Upward Scholars Governance committee. Mr. Wang is an equity research associate at Dodge & Cox and previously worked as a business valuation senior associate at KPMG. He lived in both Germany and China for several years prior to obtaining his BA in business administration at the University of California, Berkeley. Kevin has extensive tutoring experience from working with international students at UC Berkeley’s Student Learning Center. He plays a key role on the Upward Scholars finance committee.